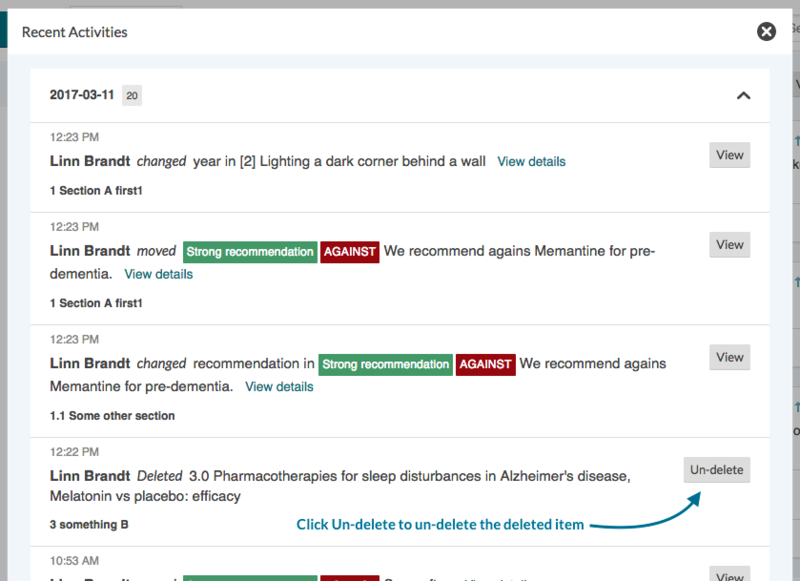 The new activity log shows you a list of all edits done in the guideline. You see who did what, when and where. 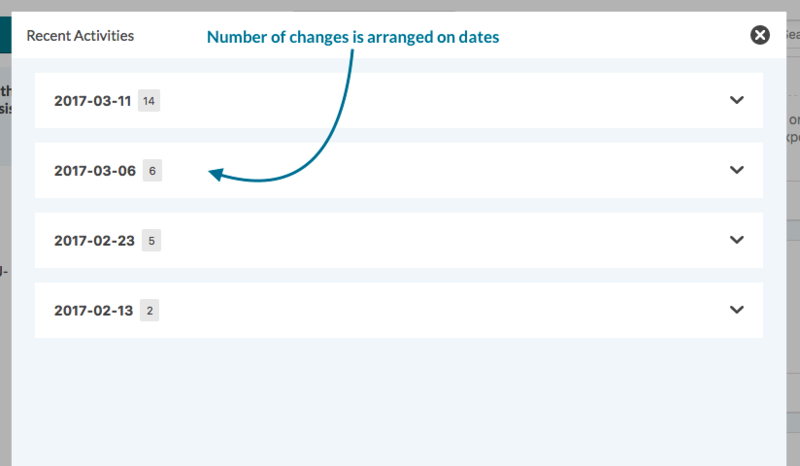 The edits are sorted by dates to make it easier to navigate. When you open up a guideline you can see how many edits were made since you last visited the guideline. You see realtime if your co-editors edit, the number of changes will update automatically as changes happen. 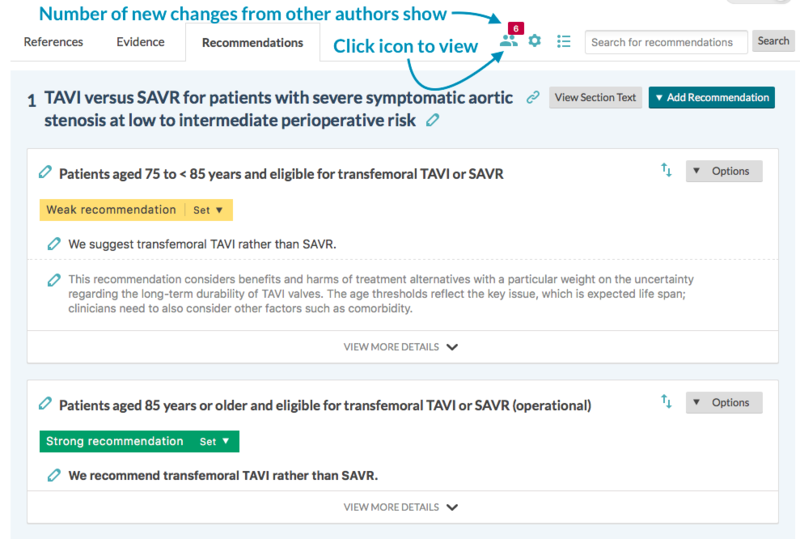 One thing to remember is that other peoples changes does not immediately show in your guideline view until you refresh the page. So if you see there is editing activity in the same chapter as you are working, it would be smart to refresh the page every now and then so you can see the changes others have made. We have made the colours brighter and clearly separated the sections to improve navigation and reading. 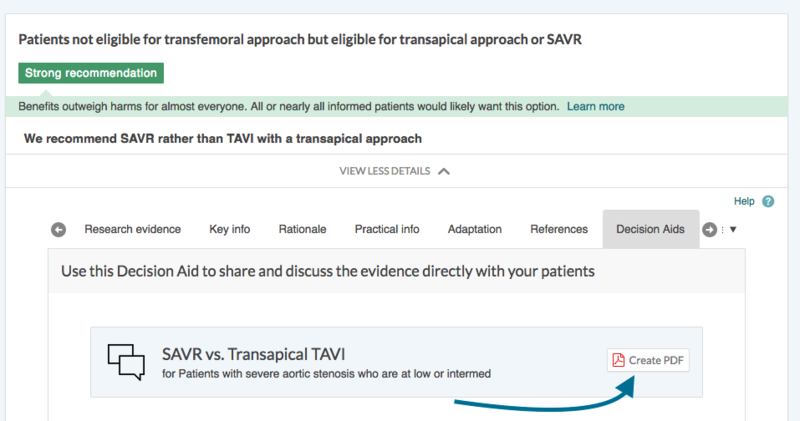 All guideline sections now include a possibility for direct links. 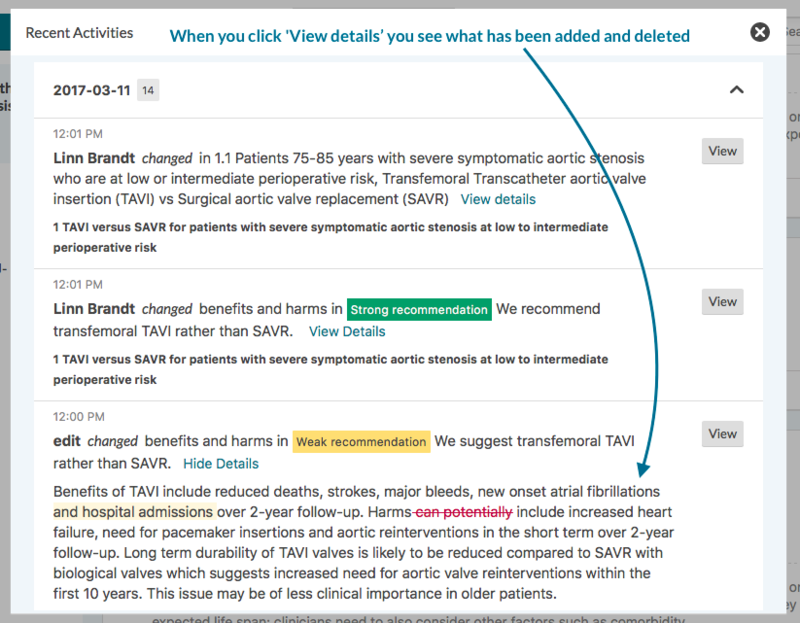 You can choose to link to a specific version or to the always the most updated version. All decision aids now have a PDF button. You can use the PDF as an offline or printout option. 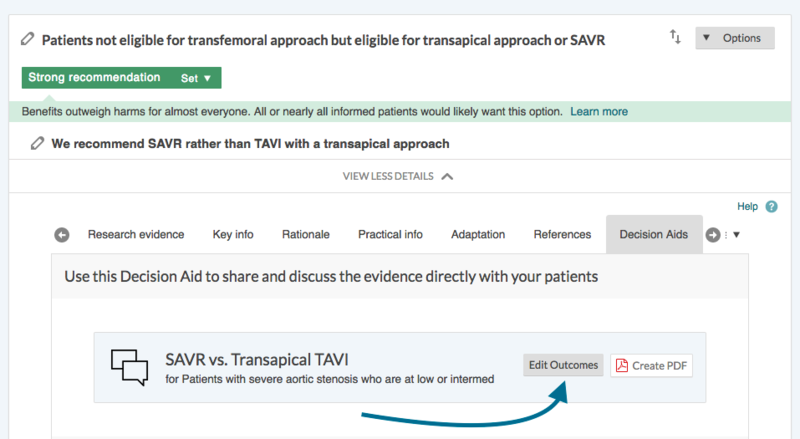 Authors get access to an outcome editor where they can edit the outcome names in Decision aids independent of the Summary of Findings tables. 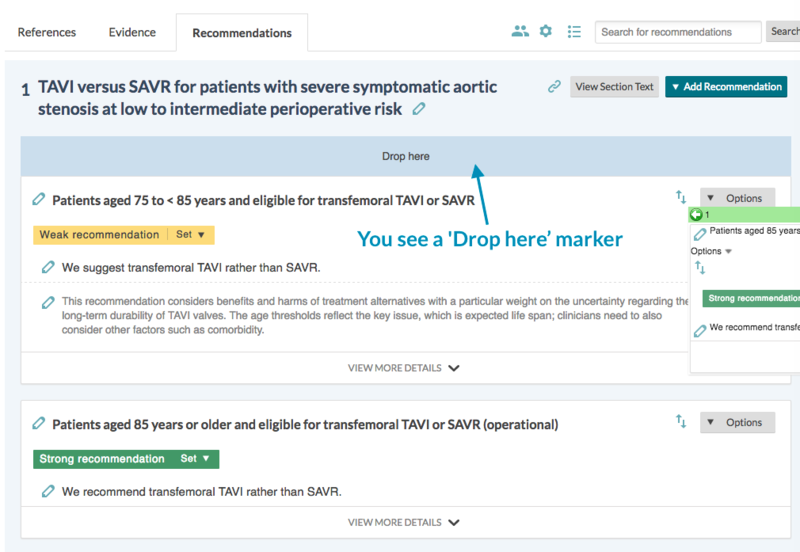 In an upcoming release we will also add a control for not showing a Decision aid in the published version. 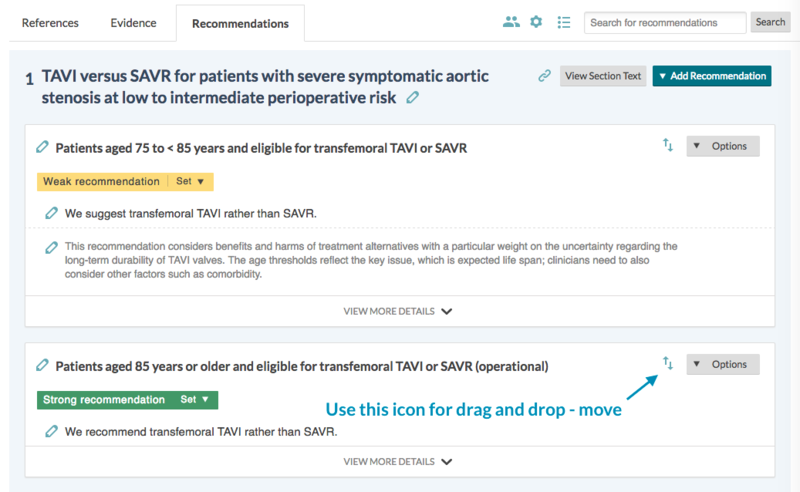 We added a drag and drop icon so users can better understand how to move recommendations, PICOs and references. You click on this icon to drag and drop the item you want to move. You see a 'Drop here' marker where you can drop the item you are moving. On sections that are empty there is no 'Drop here' marker, you have to find the drop-spot that makes the colour bar of the item you are moving green, like before. Moving sections will work the same as before. 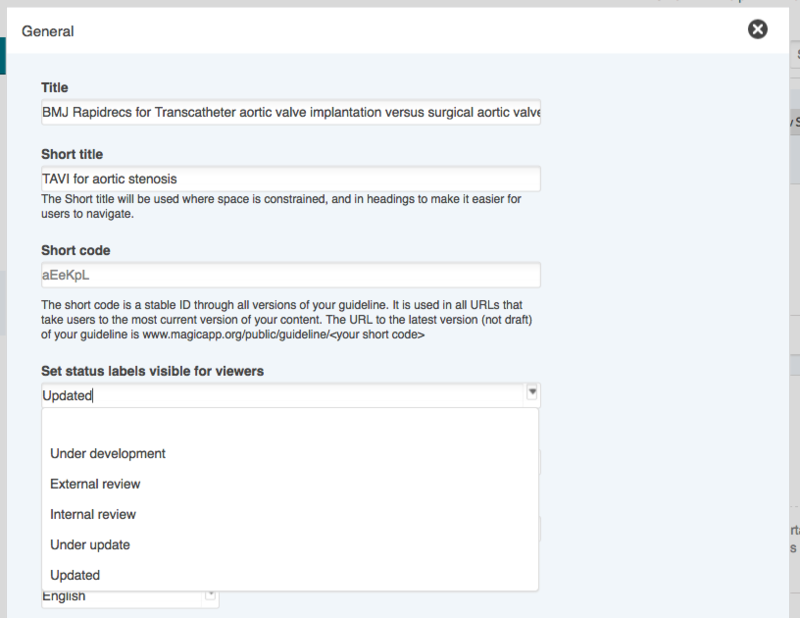 For guidelines you can now define a short title. These will be used for better layout on smaller screens. 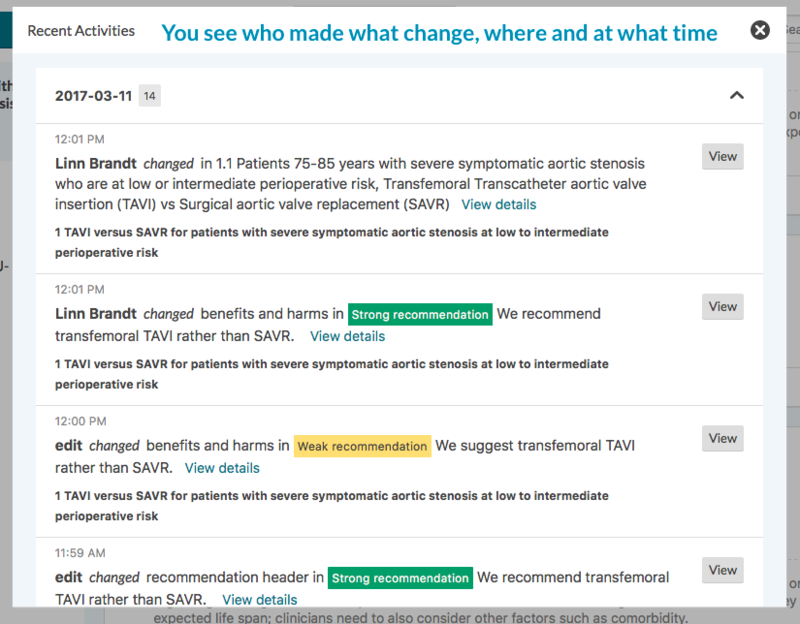 You can set status of your guideline: e.g External or Internal review. Both these items are set in Settings. 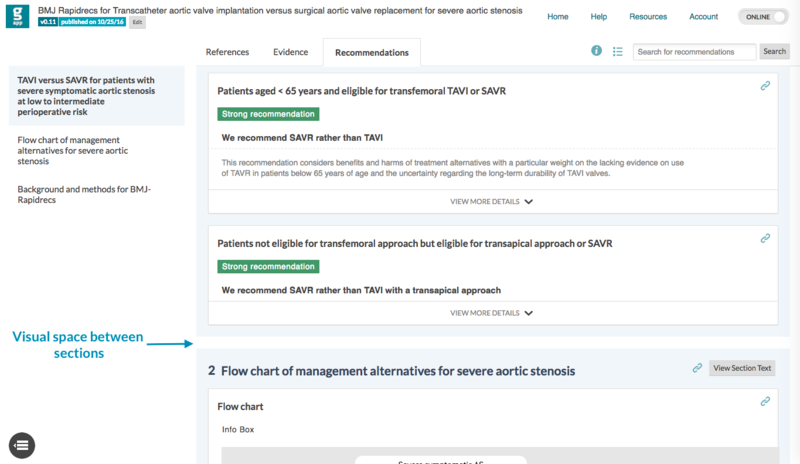 Currently the status of the guideline is not used as a label in the user interface, but we are woking on a better layout for the guideline listing page, and these items will be included in that work.